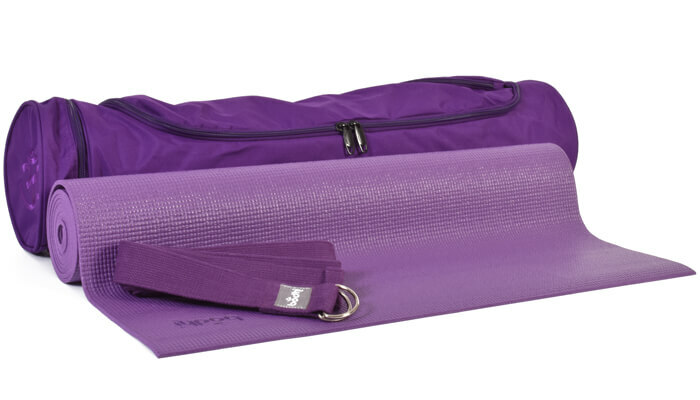 This striking purple themed yoga kit / yoga set is fantastic value for money. The kit saves you over 10% on the price of these items when purchased individually! 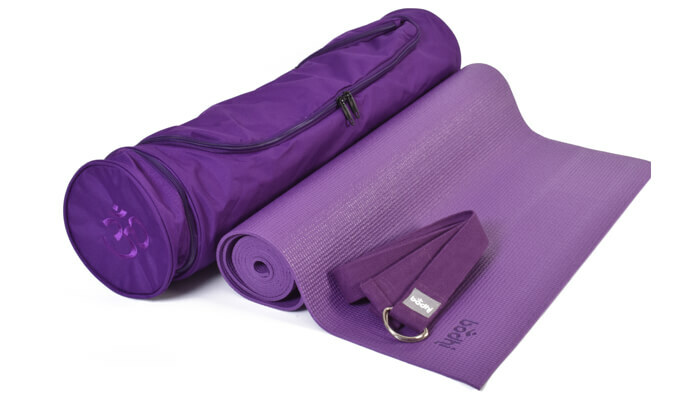 The kit comprises our popular Asana "sticky" yoga mat, Asana Om yoga mat bag and an Asana yoga belt/strap. A classic "sticky mat" with a slightly textured surface. Both sides are non-slip, flexible and shock-absorbent. A reliable and comfortable mat for your yoga practice, affordable and suitable for all forms of yoga. This mat is made from materials (PVC) which have been tested by SGS Labs to be free of AZO dyes, DOP softeners, phtalates and heavy metals. 6P Free plus contains no DEHP, DBP, BBP, DINP, DIDP and DNOP. 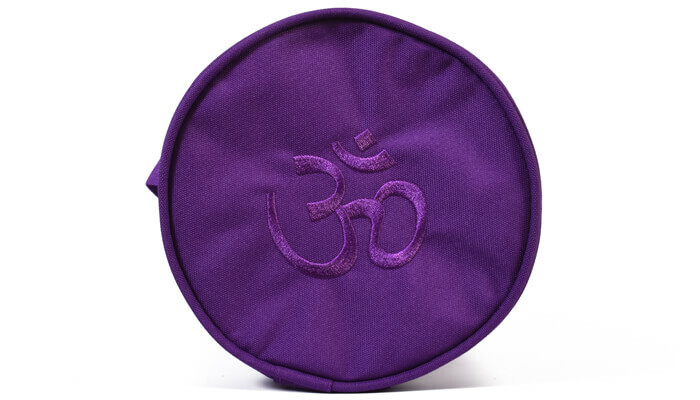 A practical, lightweight and compact mat bag with attractive OM embroidery to one end. 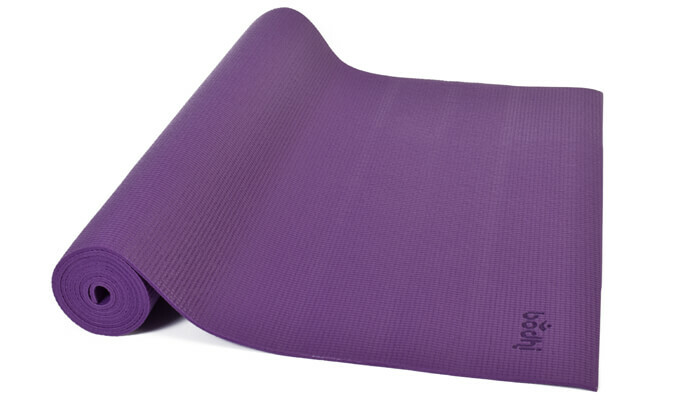 Suitable for carrying most standard yoga mats (for yoga mats measuring up to 61cm wide). 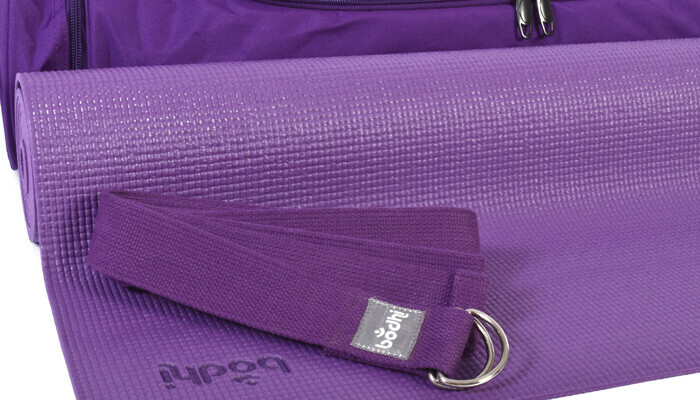 Bag opens with a side zip closure to allow easy placement of your yoga mat. It has a useful zipped pocket on the end of the bag, perfect for carrying valuables and keys and a patch pocket on the outside of the bag. Machine or hand wash. Bag dimensions: 71 cm x 15 cm. Patch pocket 12.5cm x 16cm approx. Round end pocket 15cm diameter. Yoga Belts are used in many styles of Yoga and help you to 'bind' in a pose by extending your current reach. Use under the guidance of your teacher for best results, never force or strongly pull yourself further than you are comfortably able to reach.